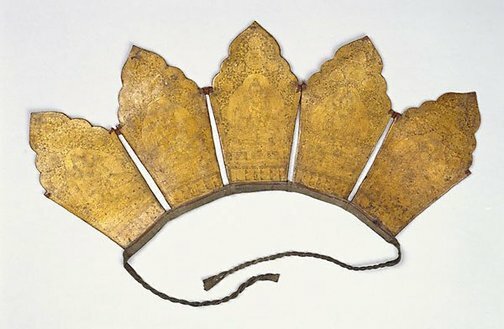 This five-bladed ritual crown would have been worn by lamas at fire sacrifices (homa) and ritual investitures, that is, on highly ceremonial occassions. 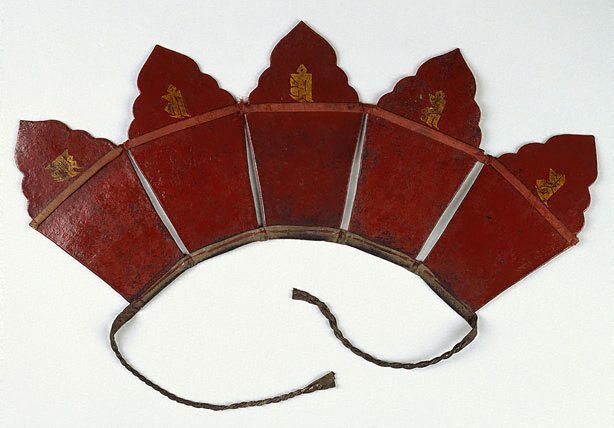 Each blade of the crown depicts each of the five Transcendent Buddhas (Tathagatas) of the esoteric Tibetan buddhist tradition. The Asian Collections Art Gallery of New South Wales , Sydney, 2003, 62 (colour illus. ).